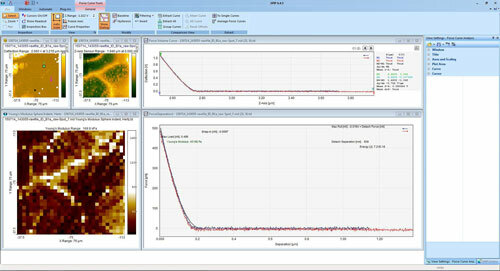 (Nanowerk News) Nanosurf now delivers Image Metrology's SPIP™ software as a standard component of the C3000 Advanced Spectroscopy Option, and offers the renowned analysis program as optional software for its entire product range. Image Metrology was founded in 1998 and is a worldwide leading supplier of image processing software for "nano-microscopy". Its mission is to provide its customers with state-of-the-art image processing software for microscopy. This mission is fulfilled by the development and continuous improvement of its main product — the Scanning Probe Image Processor, SPIP™. Detailed information on SPIP™ can be found on the Image Metrology homepage. Image Metrology is a highly innovative company, constantly developing new solutions that meet the demands of its high-tech customers.